The Flying Diamond Ranch ​is a fifth generation family owned and operated commercial cattle ranch located in eastern Colorado. Our family has been running cattle and caring for the arid prairie rangeland here in Kit Carson since 1907. As we look towards future generations on the Flying Diamond Ranch, we remain steadfast in managing a financially sustainable operation by continually improving our cattle, enhancing our natural resources and persevering our close family relationships. Michael “Storm” Casper grew up in Southeast Colorado and has spent most of his life working on a farm and ranch that continues to this day. He and his wife Larae have a daughter Rylee Scates of Mustang, Oklahoma, and son Garrett Casper of Denver. He received his BA in Business Administration with a minor in Earth Science from Oklahoma Panhandle State University of Agriculture and Applied Sciences in Goodwell, Oklahoma in 1991. He attended the University of Denver from 1993 to 1995 working towards an MS degree in Finance while working in the mutual fund industry. Since that time he has completed ungraduated courses in soil and water conservation, soil fertility management, soil ecology, and rangeland ecology. He started his conservation career with the Baca County Conservation District in 1999 developing a noxious weed map for the weed and pest district. Highlights of his conservation career include developing new conservation practice standards, promoting groundwater conservation and protection, reducing soil losses due to annual tillage, restoring habitat for threatened and endangered species, implementing the NDFU Carbon Credit Program, and overseeing the largest CRP enrollment in the nation. Storm was hired in 2006 as a Soil Conservation Technician with the Natural Resources Conservation Service and since that time he has attended and participated in conferences and workshops throughout the Great Plains on the topic of Soil Health. He is a past President of the Colorado Chapter of the Soil and Water Conservation Society and he was also a member of the Colorado NRCS Soil Health Team. Storm continues to write and speak on the topic of Soil Health since his retirement from the NRCS in 2018. He continues to practice the principles of Soil Health on his own farm. Inspired by tours of the Dakota Lakes Research Farm, the Menoken Farm, and other farms across the Great Plains, Storm has implemented continuous no-till practices on his farm and has implemented livestock grazing on cropland. Storm is expanding his no-till rotation to include no kill permacultures, organic production, and other forms of regenerative ecosystem management. In 2017 he began a Soil Health demonstration project to document and improve the understanding of healthy ecosystems and the protection of natural resources. Quality habitat design and management are key to developing and perpetuating wildlife health on ranches. They’re also one of the most significant ways a landowner can enhance the overall value of a property. Mirr Ranch Group provides complete management services for the assessment, design, creation, and restoration of wildlife habitats and agricultural landscapes. We can design a wildlife recreation plan, assist in implementing that plan, and offer in-depth expertise on wildlife habitat enhancement. As part of our many services to clients, Mirr Ranch Group can develop a custom ranch management plan that will ensure a smooth and profitable ranch operation. The plan will include grazing schedules, livestock capacity, weed control, water utilization and development (including irrigation systems), range management, and conservation plans. Where and when appropriate, a ranch plan will also include the integration of wildlife habitat, and other recreation needs, into the overall ranch operation. In addition, we design ecologically-sensitive systems, including holistic resource management (or rotational grazing), to enhance overall production and maximize the owner’s investment over time. To this end, we have the capacity and resources to find the appropriate personnel that will work to ensure the owner’s desired goals. Mirr Ranch Group maintains excellent contacts with wildlife specialists, livestock suppliers, and ranch equipment outlets, as well as working contacts with legal, accounting, banking, and insurance professionals. We also possess the in-house expertise to negotiate lease agreements on behalf of the owner with other ranchers, the U.S. Forest Service, the Bureau of Land Management, and the various state land agencies. Our overall goal is to ensure the continued success of the ranch as defined by the owner. Manage your grazing season with confidence, keep your team on the same page, and improve profits across your operation. PastureMap works offline when you're in the field. Log in to your account on the web to see your herd management dashboard, animal days/acre, and see how local rainfall and soil data affect your productivity. PastureMap is for making profits on working lands. Plan ahead and respond fast to weather and drought. Chico Basin Ranch is an 87,000-acre family-run, working cattle ranch that operates on the high prairie 30 miles southeast of Colorado Springs, Colorado. Its sprawling ranges of shortgrass and sandsage prairie, spring-fed lakes, creeks, and pools are home to diverse populations of birds, pronghorn, deer, fish, prairie dogs, coyote, badgers, and much more. The ranch is owned by the Colorado State Land Board and managed by Ranchlands in a one-of-a-kind partnership. In addition to our cattle business, the Chico offers education, farming, recreation, sporting, arts, and hospitality programs. A rich tradition in ranching and an innovative business strategy form the backbone of the ranching operation. Our mission on the Chico is to create a ranching model that views the land as an ecological resource base, where cattle are not only the primary economic driver of our business but also an important tool that we use to manipulate the land and achieve positive conservation outcomes. Upon that foundation, we layer on a suite of complementary land-based businesses with an emphasis on land stewardship, innovative management, and economic viability. The result is a sustainable, diversified business that enables the preservation of the land, our lifestyle, and our ranching legacy. Our Cooperative is comprised of Ranchers who have a passion for Ranching in the Western tradition of family-owned Ranches. These Ranchers have a passion for the land, for the animals, and for the well-being of their families and their communities. Many of our Ranches are organically certified. All of our ranches raise grass-fed, grass-finished animals in a manner that is good for the land and consistent with the humane treatment of animals. Cattle are meant to eat grass; our animals eat the lush grasses of the Western ranges and are never sent to feed lots. 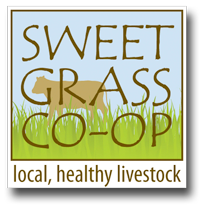 Sweet Grass Cooperative markets and sells these animals to local markets. Trainor Cattle Company, LLC is owned and managed by Nick Trainor and based at the Lowry Ranch in Watkins, CO. Whole New Concepts LLC delivers exceptional training, facilitation, consultation and development services to clients who desire to implement a holistic approach to the management of human, natural and economic resources. We provide training, mentoring and consultation in sustainable agriculture, the practice of Holistic Management, whole-farm planning, and sustainable business development via distance learning, in-person training and consultancies. Our clients benefit from our broad understanding of agriculture, rural communities, natural resources, land use planning as well as our personal experience as farmers and business owners.